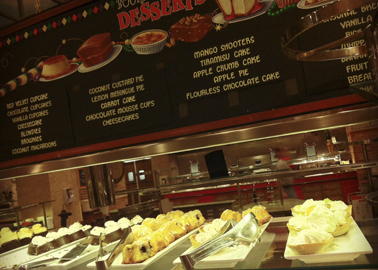 I'm a self-titled glutton, so I'm not afraid to admit that I <3 buffets. It also goes without saying that I <3 good buffets, which is why I'd prefer to eat at Borgata and nowhere else on or near the boardwalk. But, on this day, my arm was practically twisted when my family asked if we could eat at Showboat since we were already there, and with five kids in tow, it was preferable to stay there. 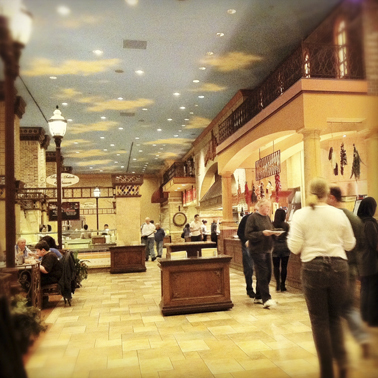 I vaguely remembered a reviewer saying they'd only eat at French Quarter if they were comped, which says a lot. But I sucked it up for the sake of spending time with family-- which included my parents, siblings, and their kids. 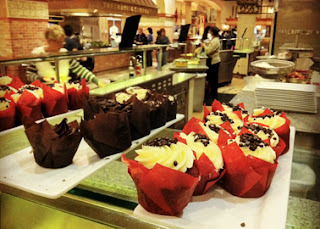 Lo and behold, the set-up of French Quarter was reminiscent of the buffet at Borgata, down to the dessert station with their two-bite desserts that included red velvet cupcakes and mango shooters. The food was pretty good, too. Their char-grilled steaks offered well-done for me, medium for my sister-in-law, and rare for my husband. They had plenty of seafood choices for the rest of the family, though their official seafood days are Fridays and Saturdays. Plus a range of cuisines for finicky eaters, which of course includes creole in honor of their moniker. This place is off the beaten path from other Asian spots. On the outside, it's like an old-fashioned road stop, with parking around the small standalone building just off the road. It's a casual spot that looks like a deli with a counter by the window and a few tables for dining in, but instead of getting cold cuts, you can get hot foods that rival sit-down places. It has never been busy the few times I've gone, which makes me wonder if this is a hidden gem or if I just got lucky. I typically get banh mi (hoagie style sandwiches with grilled meat and fresh veggies) and pho (rice noodle soup) with my kids. Pictured are summer rolls also. I've never spent more than $30 there, and I go with 3-4 people and order a couple of bubble teas, too. I live in a neighboring town that doesn't have its own diner. Although Teddy's is not a traditional diner and keeps earlier hours than most restaurants, it is the place I go to when I'm in the mood for diner fare. Their tagline is "Where Old Friends Meet," and it shows in the bustling crowd of locals of all ages, the service with charm and familiarity, and a menu that provides good, simple, and hearty choices. I've been coming to Teddy's throughout the years, since moving from NY in 2007. The place is now run by Teddy's son, and you can usually find him greeting customers at the door, whether it is to welcome you to sit anywhere you'd like or to ask you how your meal was at the end. 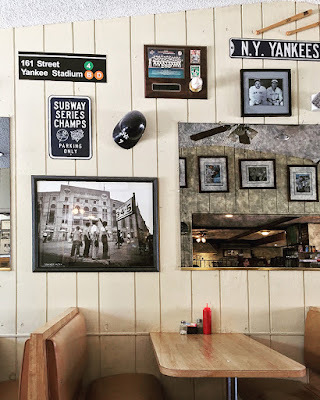 The decor hasn't changed much, with NY Yankees memorabilia adorning the largest wall, but the place has definitely grown more vibrant.